The Satechi Type-C Multimedia Adaptor comes with all your favourite legacy ports bundled into one sleek, aluminium adapter. It’s created to complement your Apple products with a modern, user-friendly design. 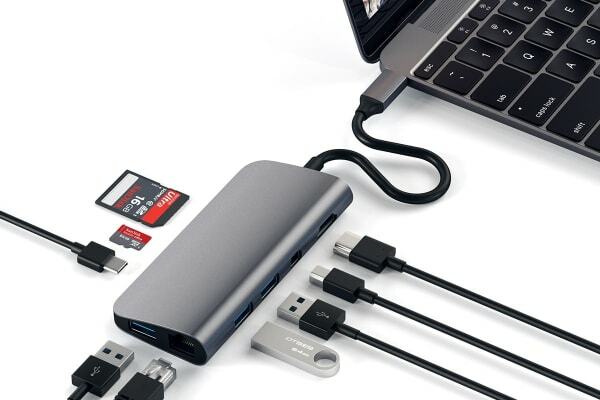 The Satechi Type-C Multimedia Adaptor features a USB-C Power Delivery port to charge your PD-compatible devices, 4K mini DisplayPort, 4K HDMI, Gigabit Ethernet, Micro/SD card slots and 3x USB 3.0 ports for access to all your devices. 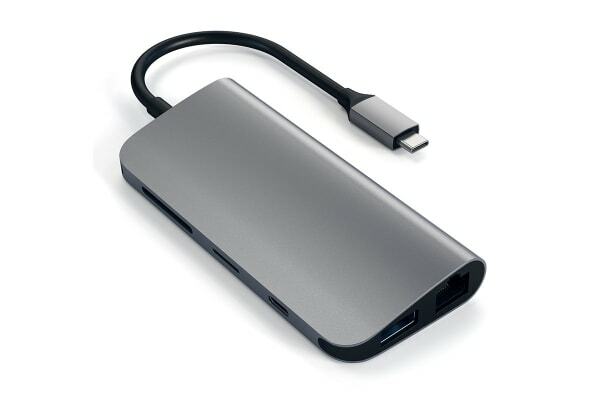 With upgraded USB-C Power Delivery (PD) charging standard, you can quickly charge your Type-C devices. It includes multi-directional power flow (up to 49W) and efficient charging speeds for your compatible devices (USB-C PD 2.0 or higher). 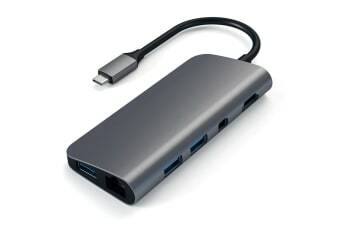 It featuring a plug and play design for MacOS and Windows (8 and later) devices to enable fast, stable Ethernet connection.